Ooh, but she carries the mullet off so well! She sounds so fun, it's the best age, I think. I can't believe how big she is! So cute! What a character! and those big brown peepers - adorable. 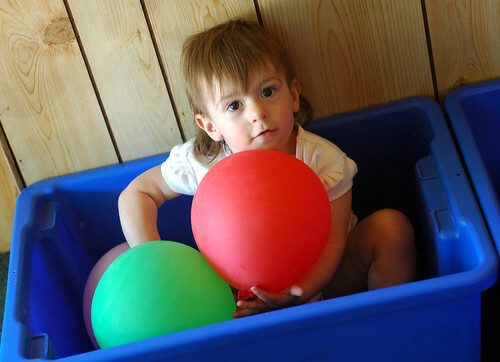 I see she is also a fan of the two best toys money can buy .... a box and balloons. My kids love them! Oh what a sweet and tender blog post - I am now singing the Smiths tune, thanks!!! Ohhhh, grandma is missing that little girl and all the cute things she does!!!!! Reading through the list brings back vivid memories of visiting 4 weeks ago and experiencing all that cuteness!!! Oh that haircut is so so cute!